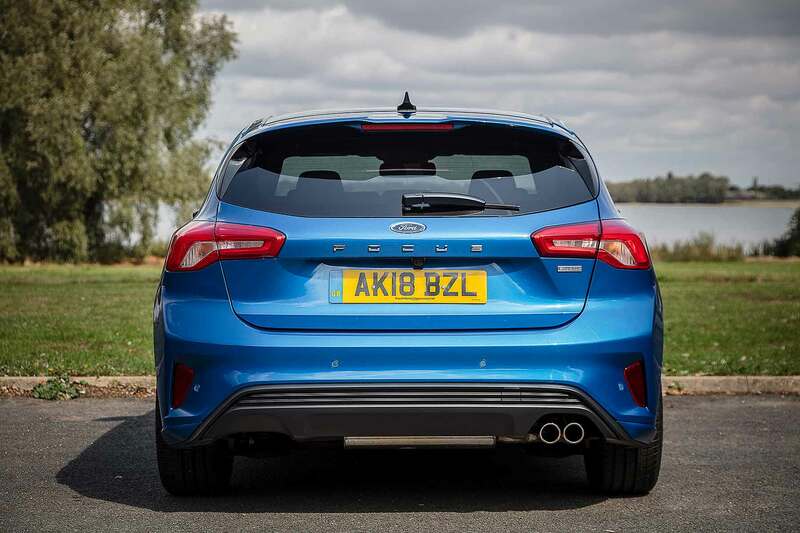 With the all-new Ford Focus, the Blue Oval wants to regain the title of selling the UK’s favourite family hatchback. The previous Focus was a decent car, but a bit disappointing – at least by the high standards of the Focus brand. Only the mighty Focus RS really stood out: the others were OK, no more. The Volkswagen Golf started outselling it more than a year ago and hasn’t yet relinquished its grip on medium hatch honours. Until now, reckons Ford. The new Focus is a car more than good enough to take on the Golf, it says. 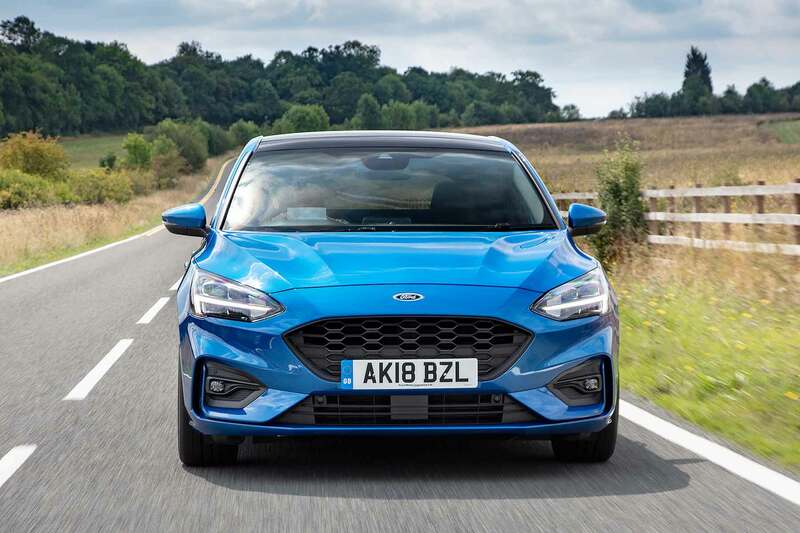 Indeed, UK sales director Kevin Griffin claimed it might not just challenge the VW, it could also give the Ford Fiesta a run for its money as the UK’s best-selling car. Why the confidence? Because this is a ground-up new car, in which Europe has taken the lead, unlike with the previous ‘world car’ Focus. 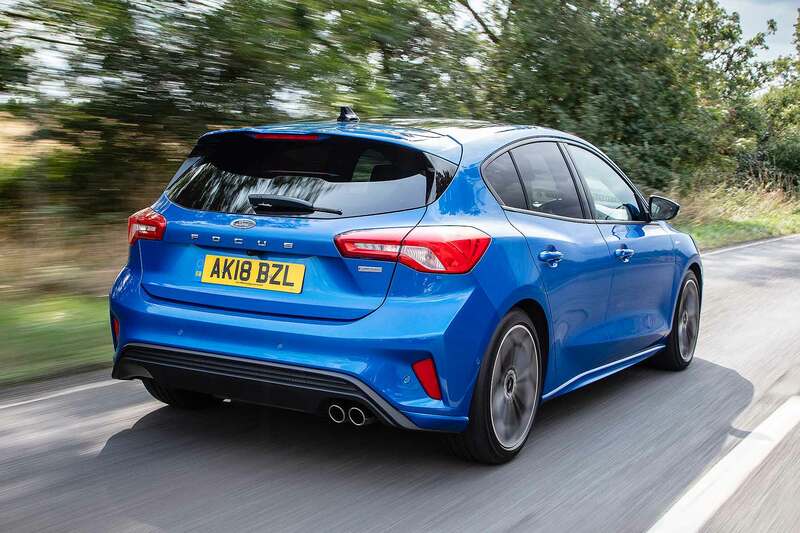 The new platform comes with high-end oily bits; posh models get independent rear suspension while cheaper ones have Ford’s patented force vectoring springs first seen in the brilliant Fiesta ST. Buyers can even now choose adaptive damping – technology normally reserved for BMWs and Audis. This is the first European Ford to be fully connected, with an onboard modem called Ford Pass Connect. 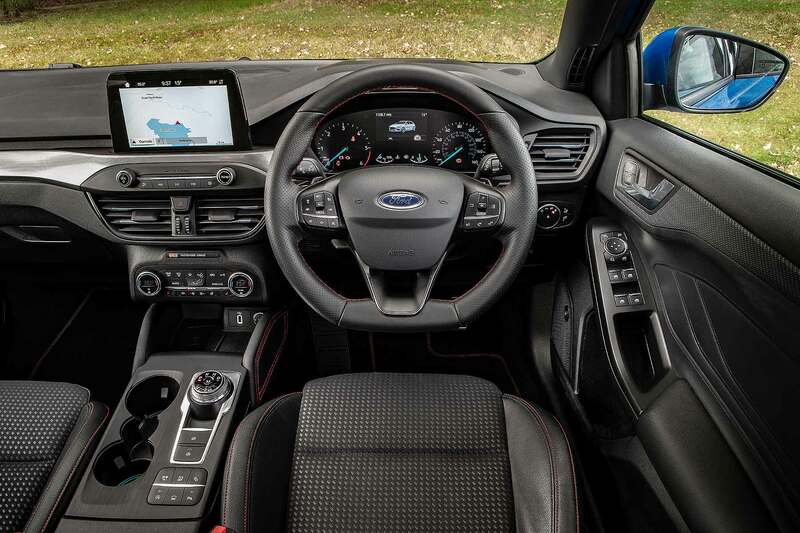 A big Sync 3 infotainment touchscreen has Android Auto and Apple CarPlay, and Ford has completely overhauled the dashboard to eradicate the overwhelming mess of buttons on the old Focus. It’s much bigger in there, too. 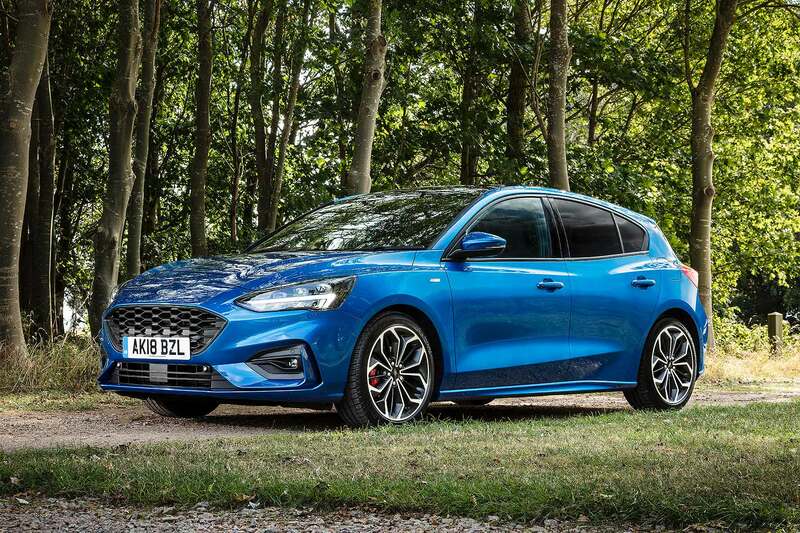 Twenty years on from the first Focus changing the family hatchback game, Ford is back with a fourth-generation car that aims to revive the spirit of the original. 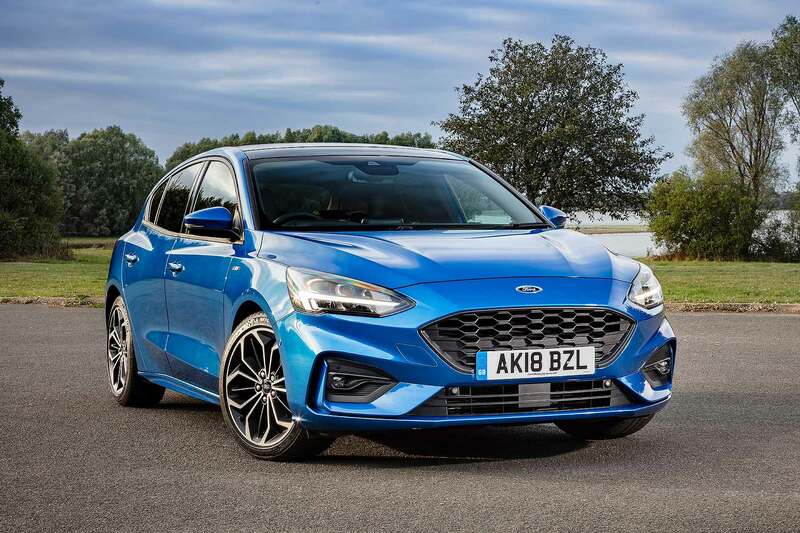 As the first cars arrive in UK dealers, we spent some quality time with what’s predicted to be the most popular trim, the ST-Line – albeit with what’s predicted to be a less popular engine, the 1.5 EcoBlue 120 diesel. Online commentators seem unsure on the styling of the new Focus. We think it’s a car that doesn’t photograph well. In the metal, it’s more distinctive than it looks on-screen, although it also looks like other models from various angles. ‘Spot the car it’s copied’ was a fun game during our time with the Ford. It looks richer and higher-end in some of the other metallic colours on the launch event (there’s a choice of 13 colours in total). The red of our test car flattened its shapely contours a bit, but we much prefer the pretty blue metallic you see here. 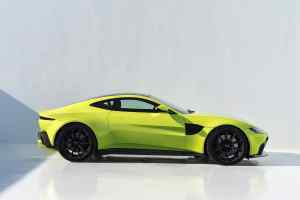 Still, it stood out in ST-Line guise, with one observer actually mistaking it for the new ST hot hatch (not due until 2019). The rear window line has been stretched, to improve visibility for those in the back, and the rear lights are now lower and more conventional. The vertical tail lamps of the first Focus have now been fully eradicated. We think it’s a fairly smart-looking thing and the silver ‘FOCUS’ lettering on the tailgate is a classy touch, although rivals such as the Honda Civic remain more distinctive. What a massive improvement the interior of the new Ford Focus is. The old car was a depressing place to sit, feeling overbearing and claustrophobic. And its hysterical button-count was bewildering. Here, Ford has pushed the dashboard forward to open up the cabin, replaced buttons with the touchscreen, and lowered the seats. It’s a huge improvement. A longer wheelbase gives more interior space, particularly for those in the rear. 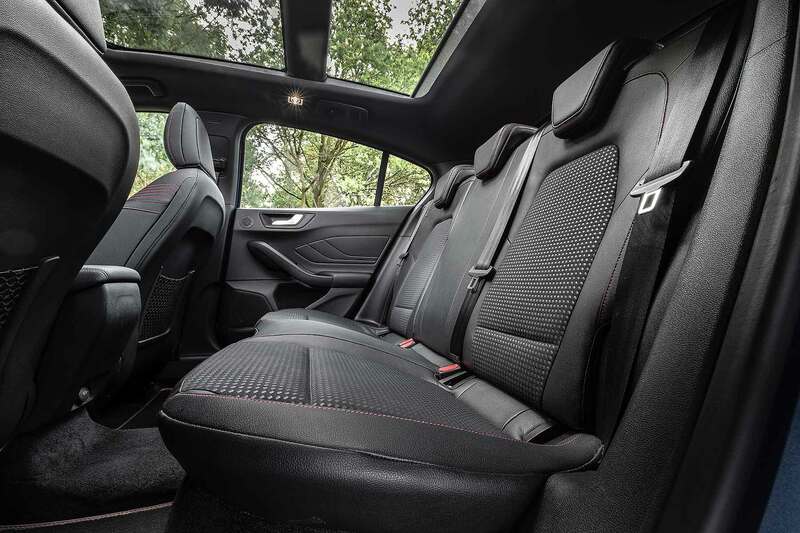 The boost in rear legroom is appreciable, while it’s also easier to find a spot-on driving position. Ford’s skill in setting ergonomically perfect layouts is fully present. It’s much easier to see out of and makes the old car feel instantly dated. The plastics are decent enough, too. They’re not as fine to the touch as a Volkswagen, but they’re passable. The high-mounted infotainment screen looks neat and the steering wheel is nice to hold. You even get flock-lined door bins, so your water bottles don’t rattle around. FordPass Connect means you can access your car via your smartphone and, if you have a data plan, wi-fi hotspots for the kids will open up (you can disable them individually if someone’s misbehaving). Like all the best Fords, the new Focus feels good within the first few hundred yards. The steering has reassuring weight and lack of slop, the clutch take-up is smooth and well-engineered, and the gearchange is a precision instrument compared to some rivals. Our test Focus was a 1.5 EcoBlue diesel. 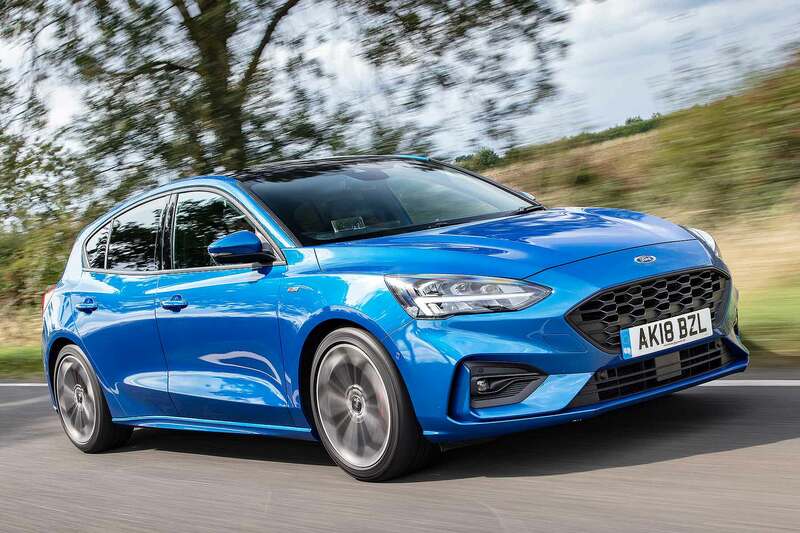 Ford expects fewer than 30 percent of Focus buyers to choose a diesel, but it’s still a model with plenty to offer – for those willing to get past the demonisation of diesel. It’s quieter and less rattle-prone than the previous car. It also offers attentive low-rev response and feels strong enough even at motorway speeds. If you take it steady, the 1.5 EcoBlue is also capable of outstanding fuel economy. We saw more than 80mpg during one steady 100-mile run across the M6 and M1. Admittedly, this took in a lot of 50mph average-speed driving, but still shows what the Focus is capable of. As ever, you’ll save on fuel costs if you pick a diesel Focus instead of a petrol one. What a pity so few seem willing these days. Plentiful work on the new platform to engineer in refinement seems to have worked. The new Focus rides more quietly than the old car and generates less road noise at speed. 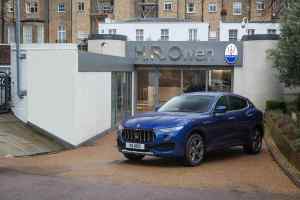 Bumps are soaked up quietly, although they are still felt – as with all previous Focus, the latest car is more stiffly sprung than a Volkswagen Golf, delivering a sportier feel to the driver. It’s not uncomfortable, and the benefit of this firmer feel comes in the corners. 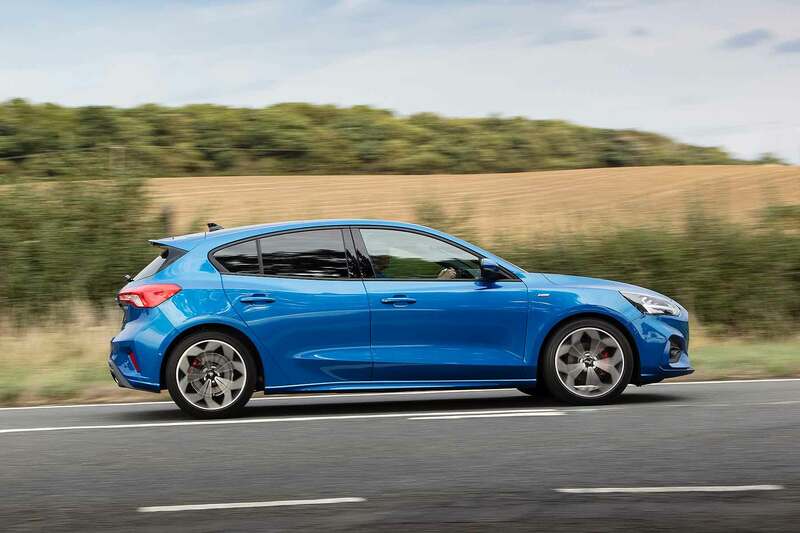 The Focus handles really well, with controlled levels of body-roll, quick and responsive steering and a great feeling of stability and four-square confidence even when you’re chucking it about. The faster you drive, the better it gets: there’s probably no better family hatch for covering high miles at high speeds on broken roads. Inevitably, it’s not as engaging as the famous first Focus. Nothing would be these days. But by modern family car standards, it’s the hot hatch of the vanilla car class, which bodes well for future ST and RS models. Certainly, it’s a car keen drivers can use as a daily without being frustrated by any lack of depth. Ford’s done it again. The new Ford Focus is a true modern Ford. It does all the sensible stuff impeccably well – space, cabin layout, practicality, refinement – has been improved in the areas it sorely needed to be – basically, the entire dashboard and infotainment system – and still drives with the deep-down class Focus hatchbacks have delivered for more than two decades. People are erring away from diesel these days. That’s a pity, as the 1.5 EcoBlue 120 engine is refined, flexible and extremely economical. It’s still worth a look. But if you really can’t swallow it, try ST-Line trim with a 1.0 EcoBoost petrol instead. Because the Focus should definitely be on the shortlist of all family hatchback buyers in 2018.